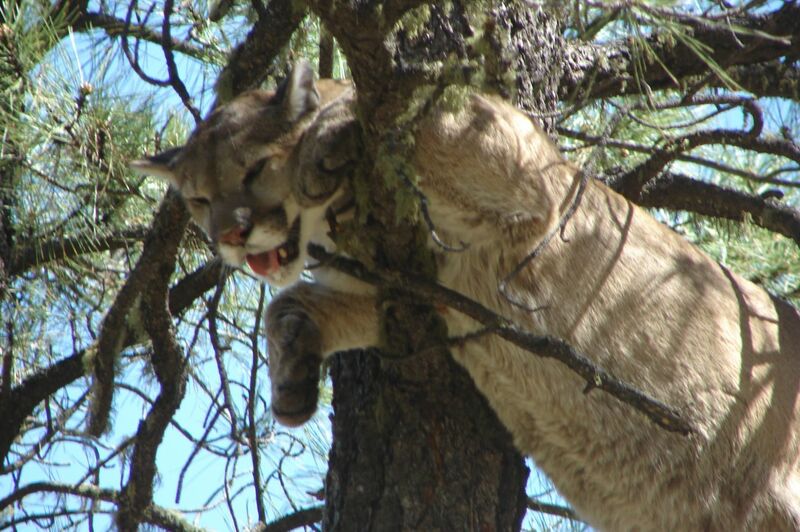 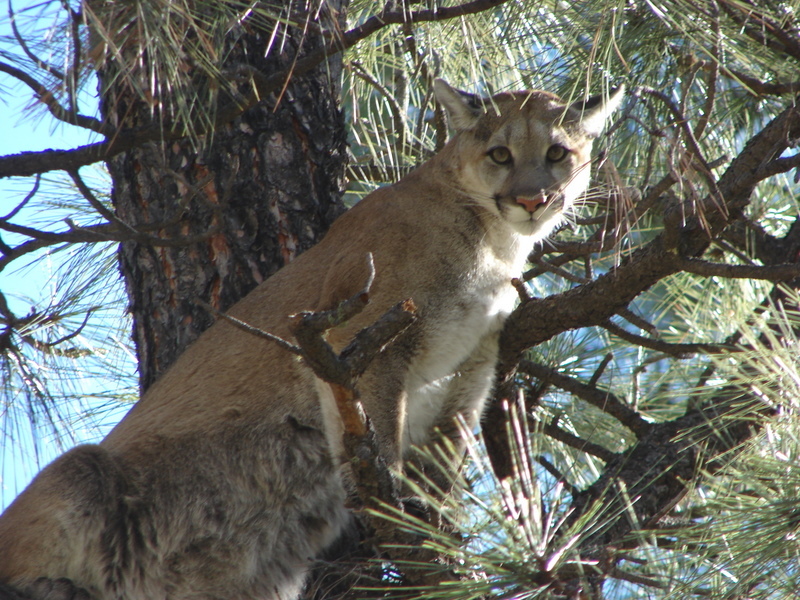 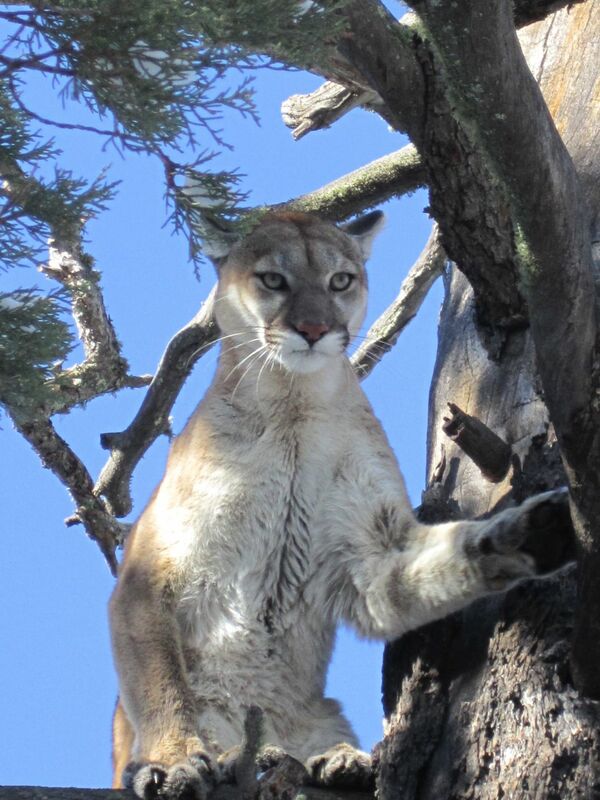 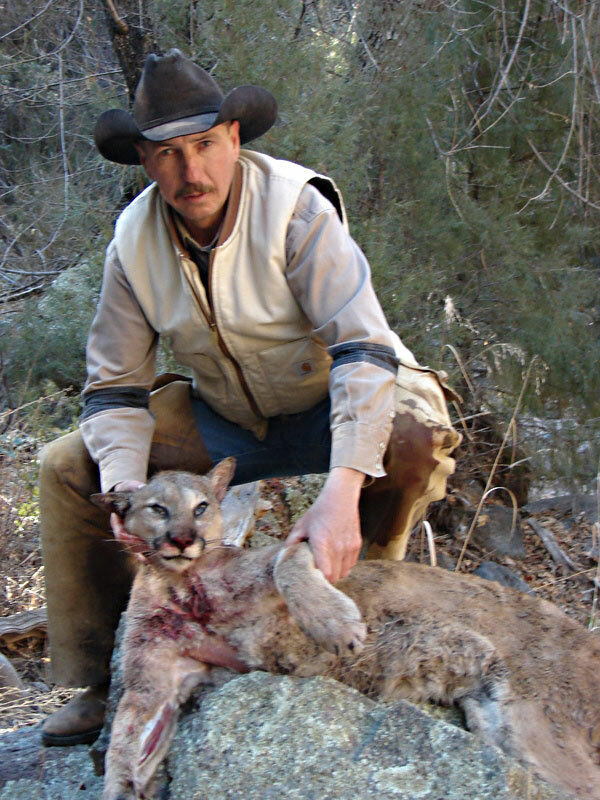 Mountain lions are considered by many to be the ultimate Western big game trophy. These big cats go by many names such as cougar, panther, puma and a few more in different parts of the country. 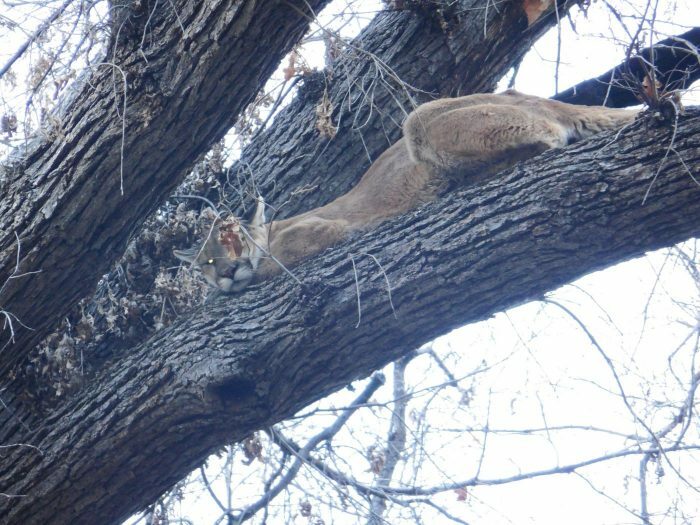 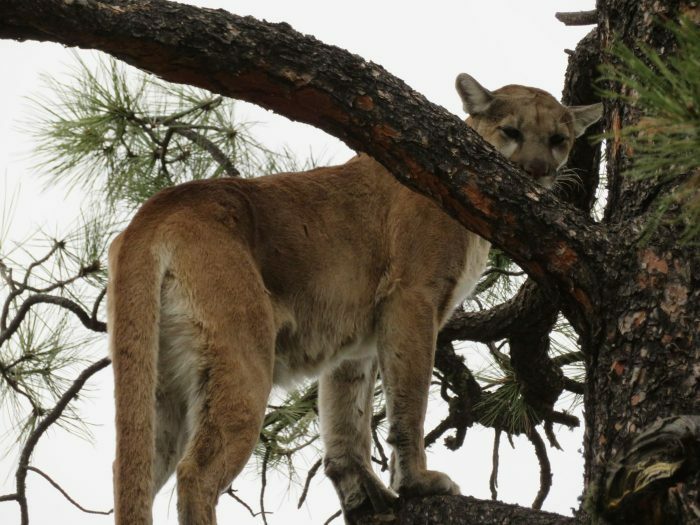 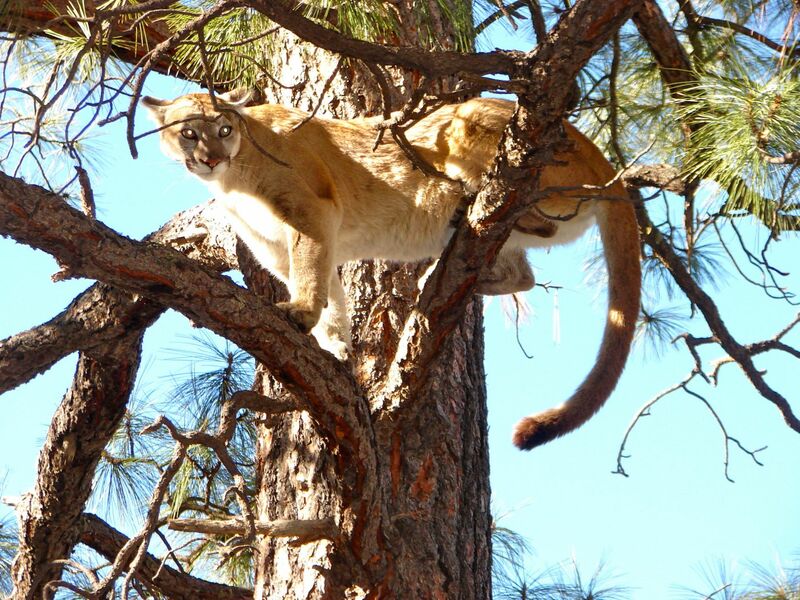 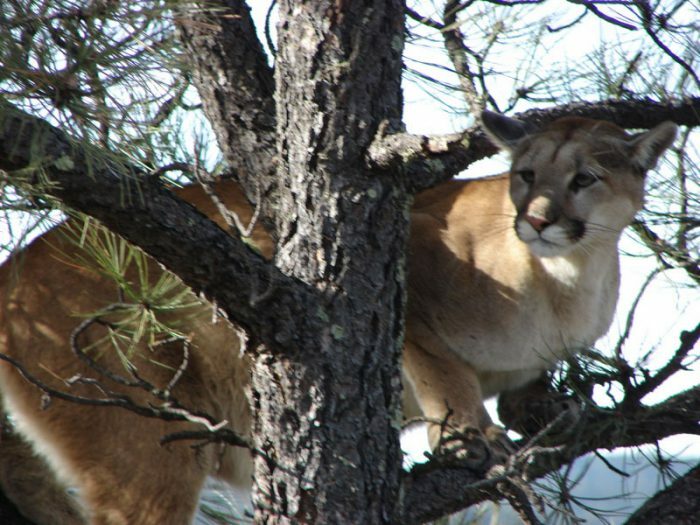 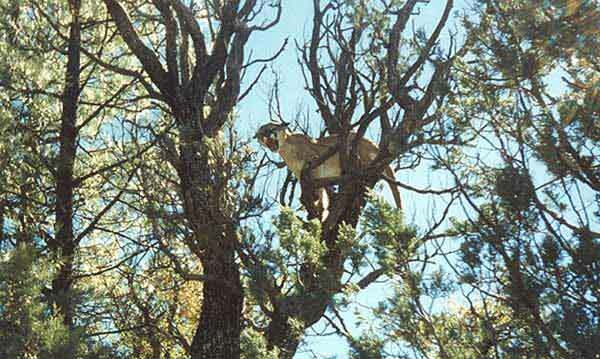 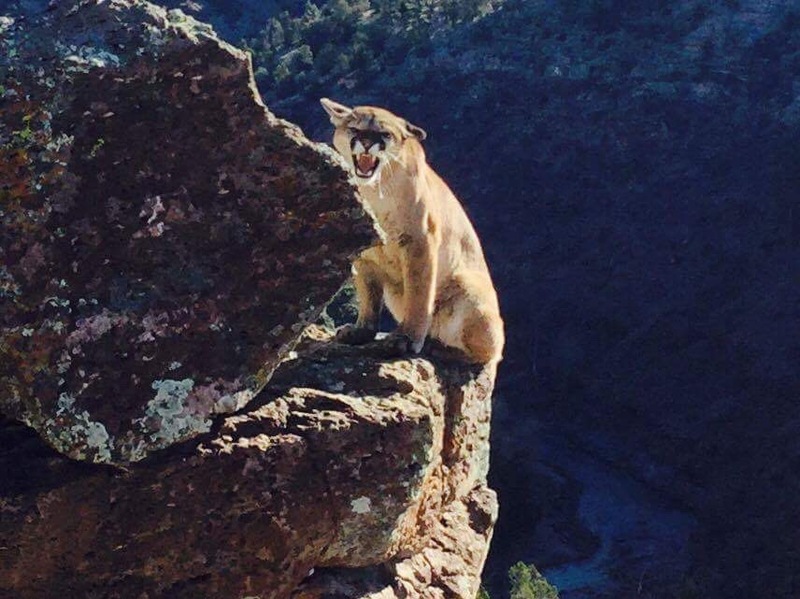 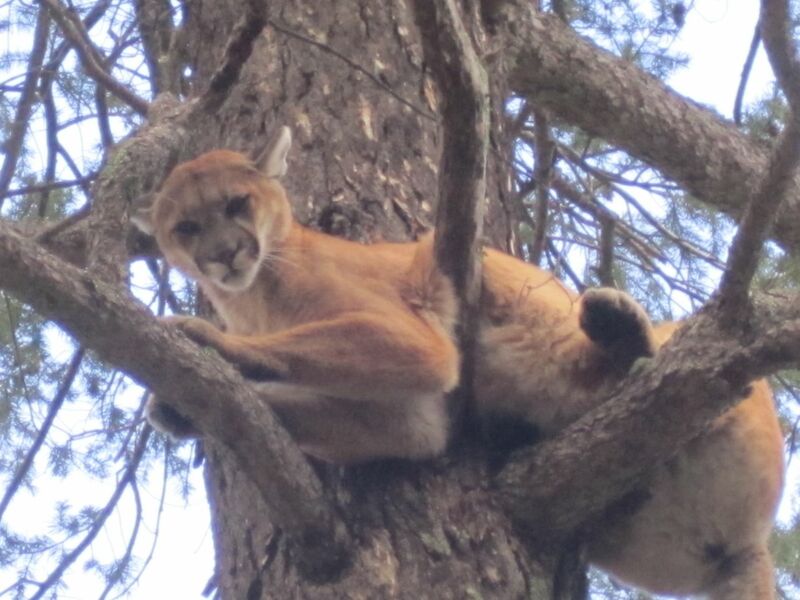 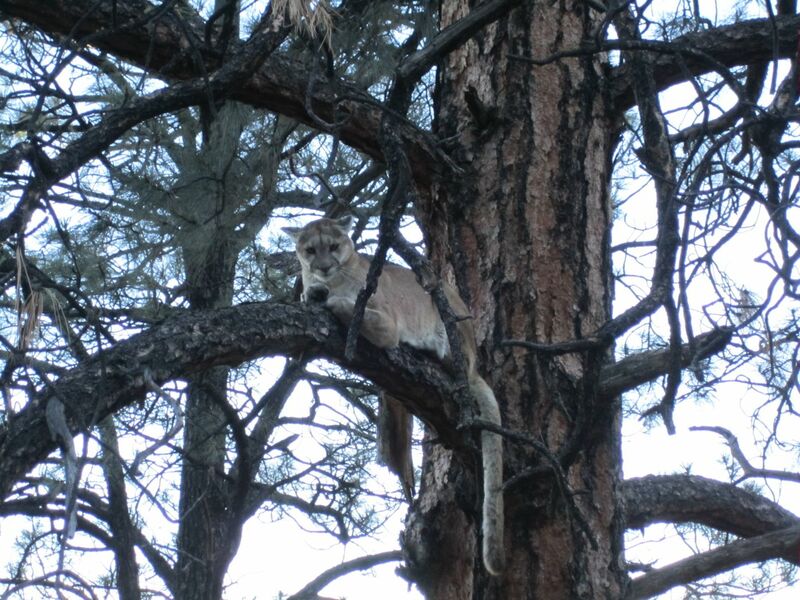 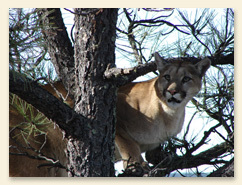 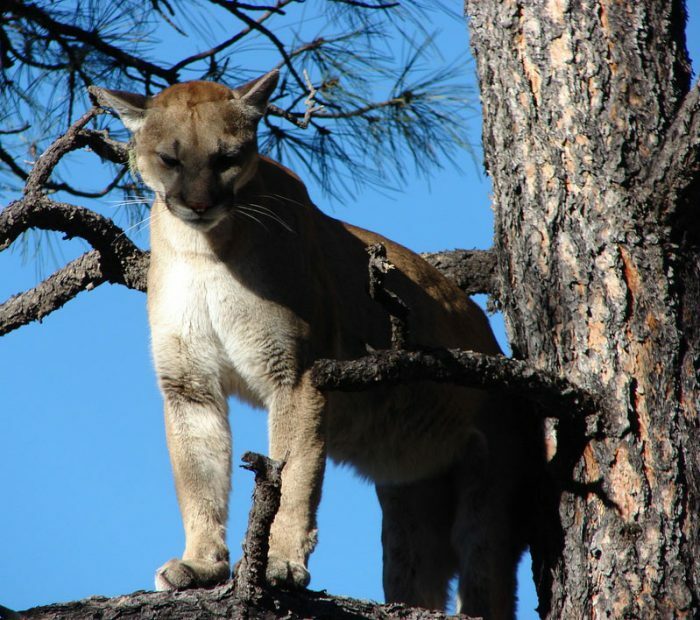 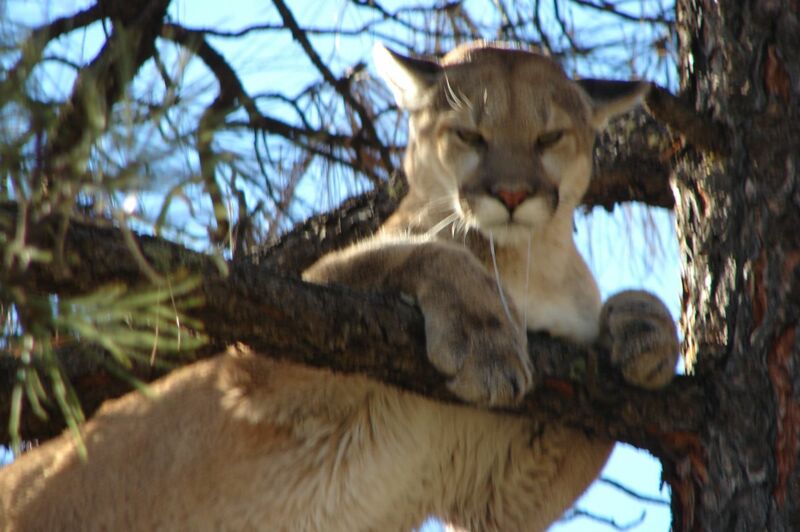 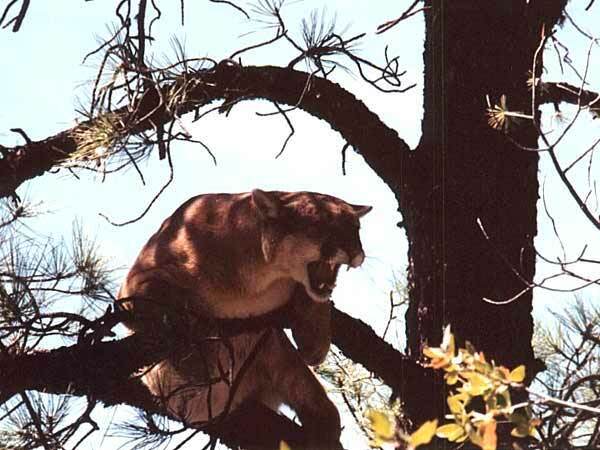 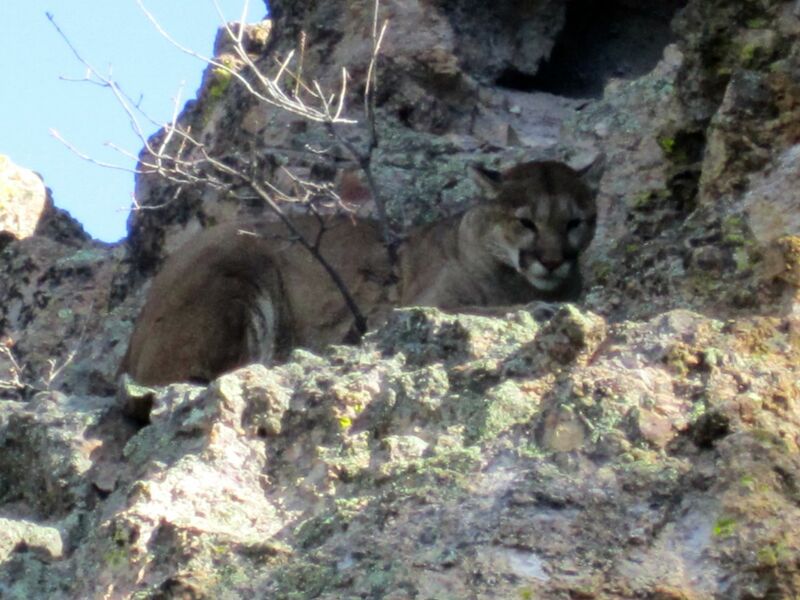 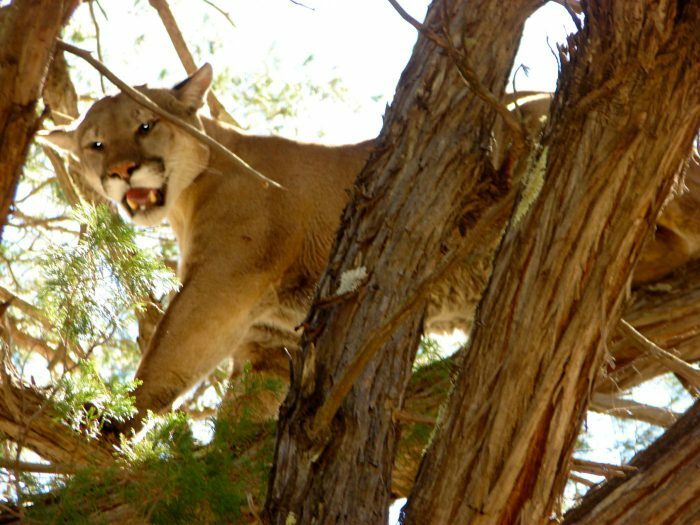 Here in New Mexico the most common names are cougar or mountain lion. 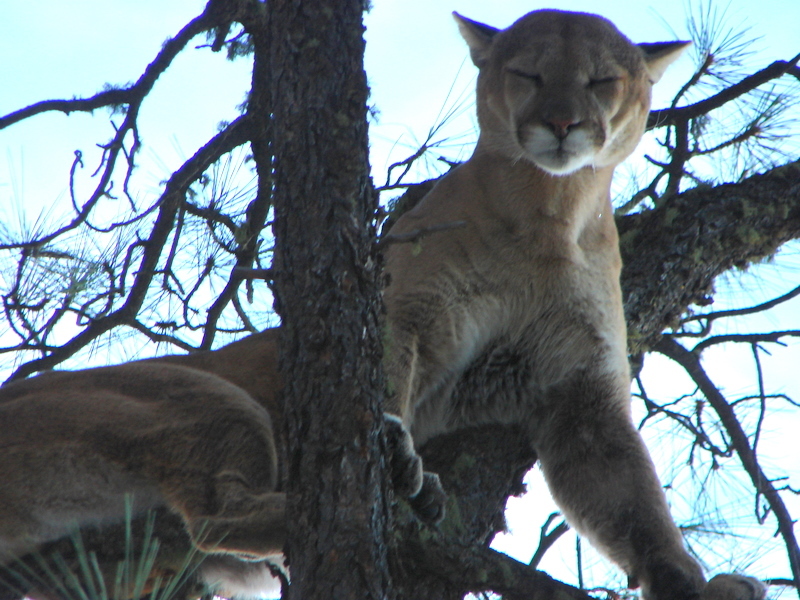 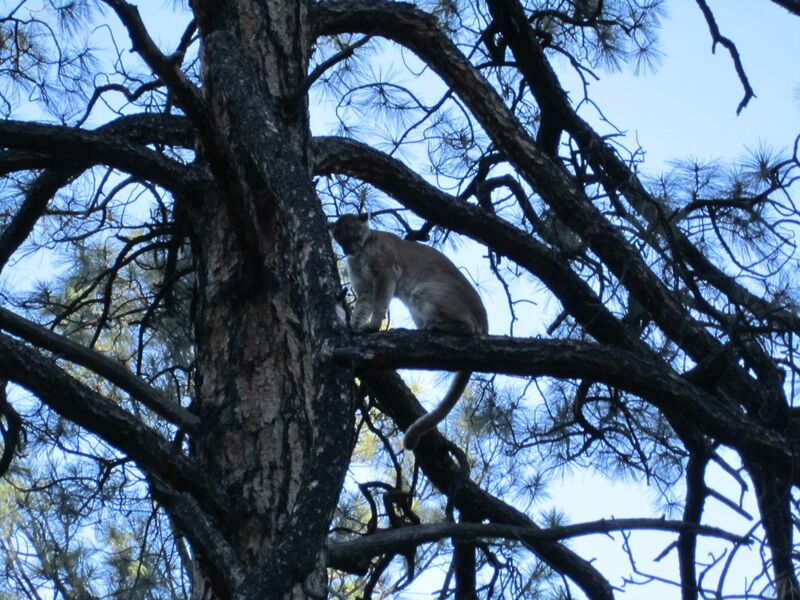 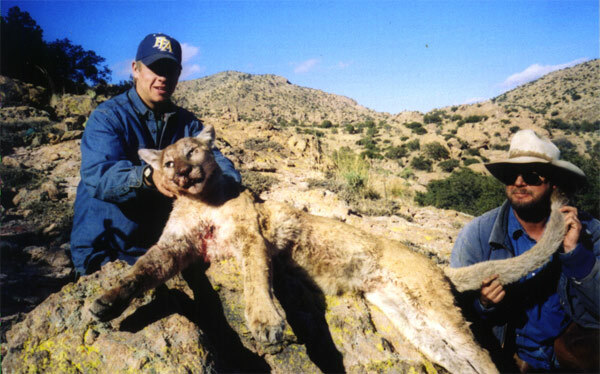 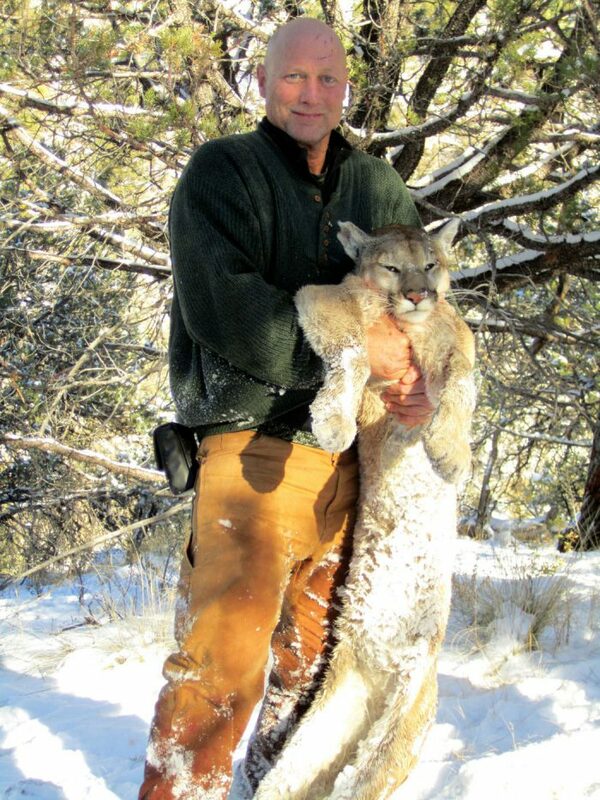 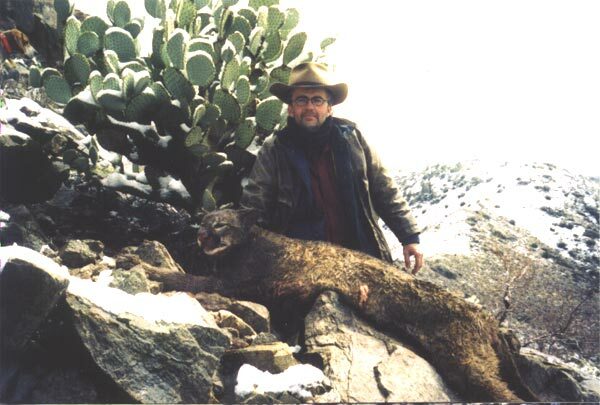 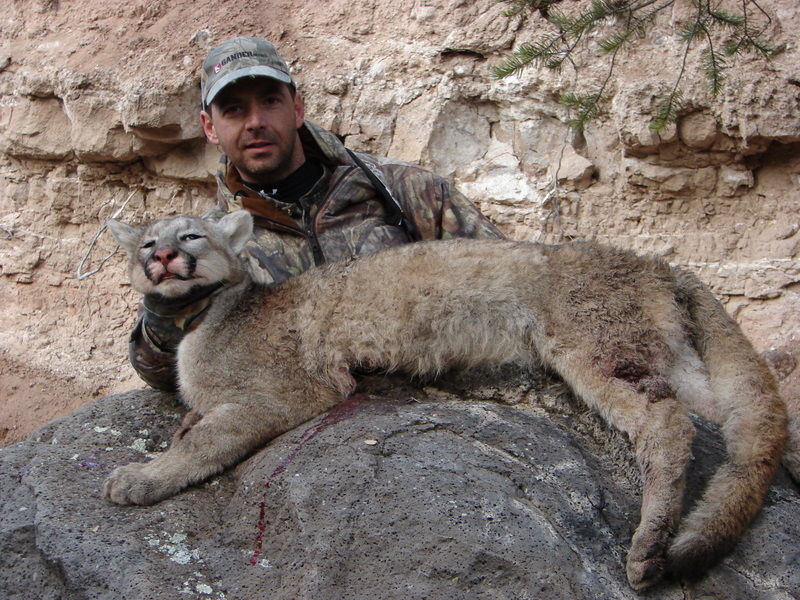 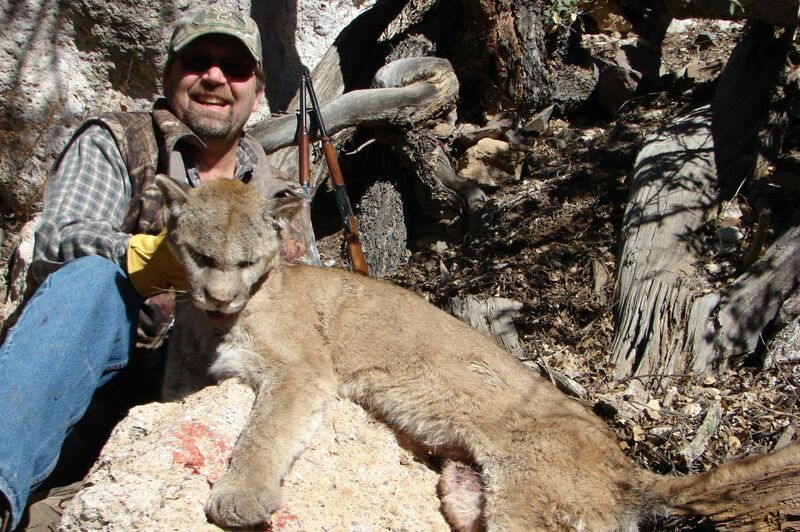 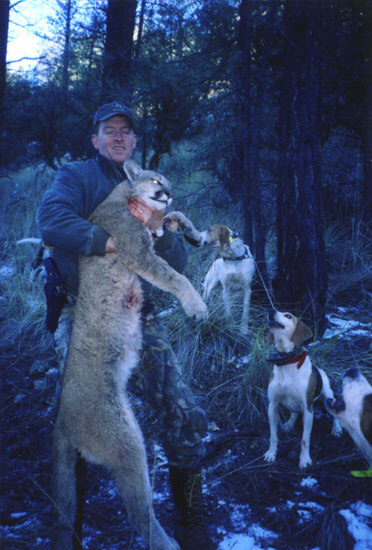 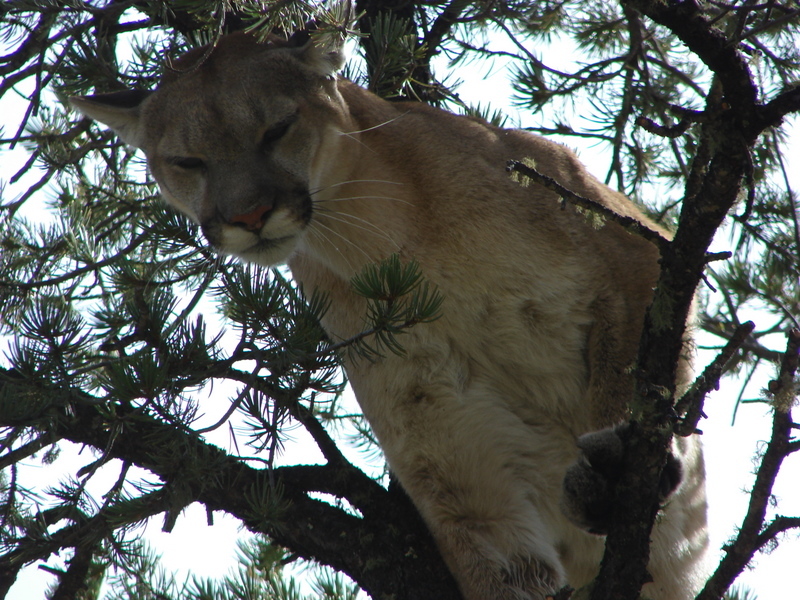 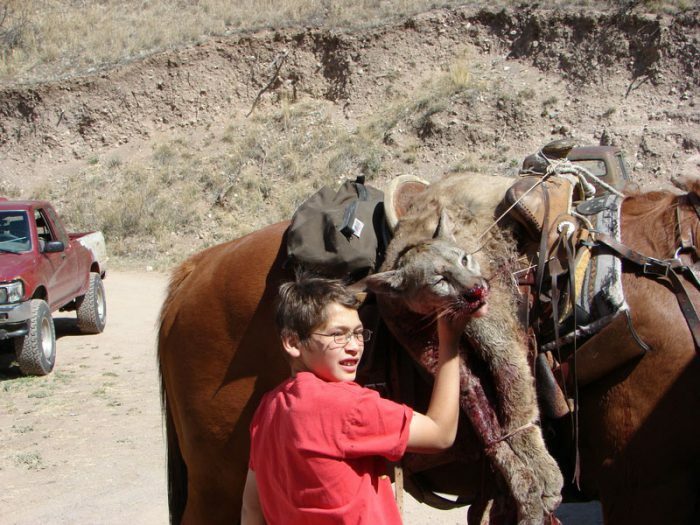 Our mountain lion hunts are primarily in southwestern New Mexico on bare ground. 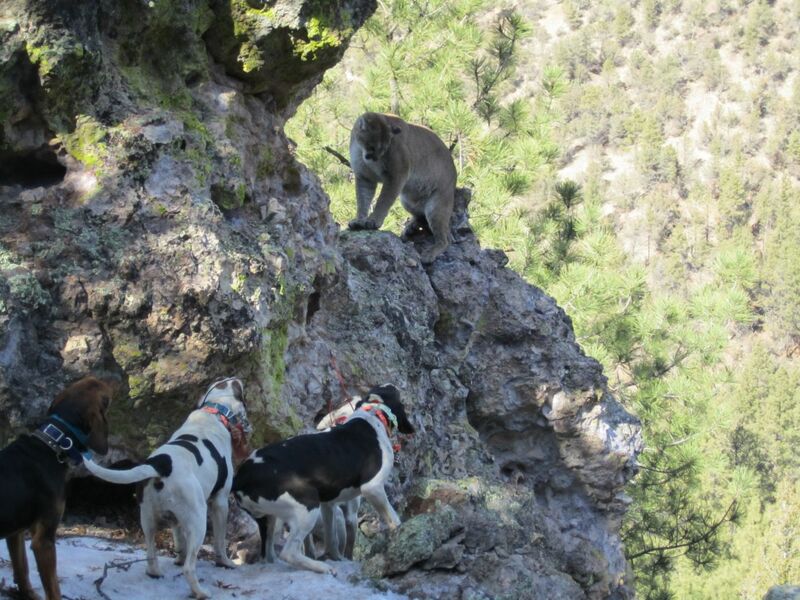 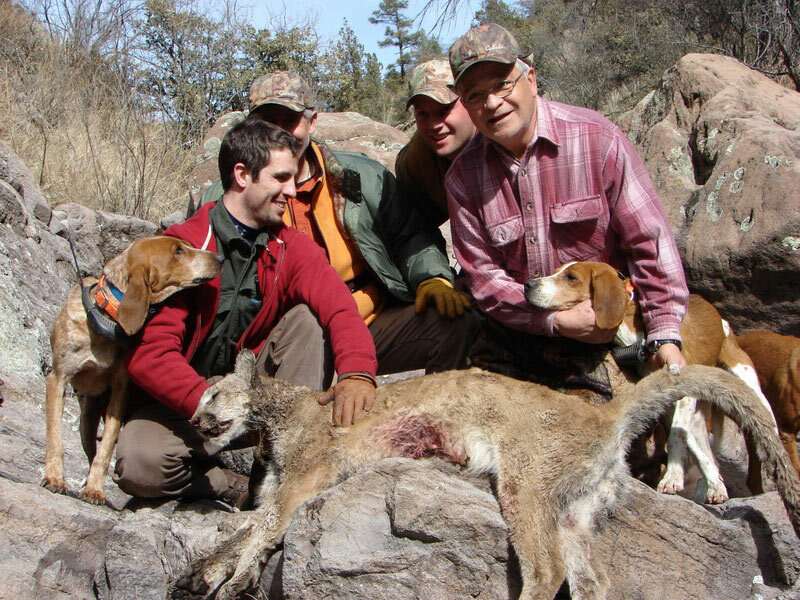 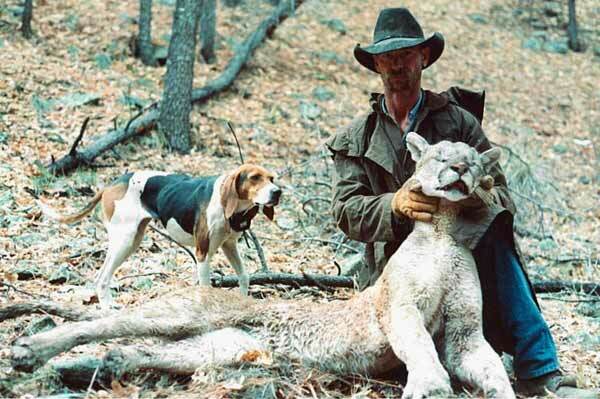 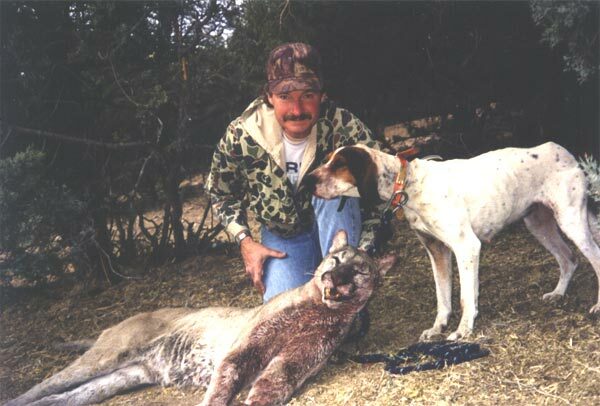 To be successful at dry-ground mountain lion hunting, many well trained hounds and a devoted hunter are required. 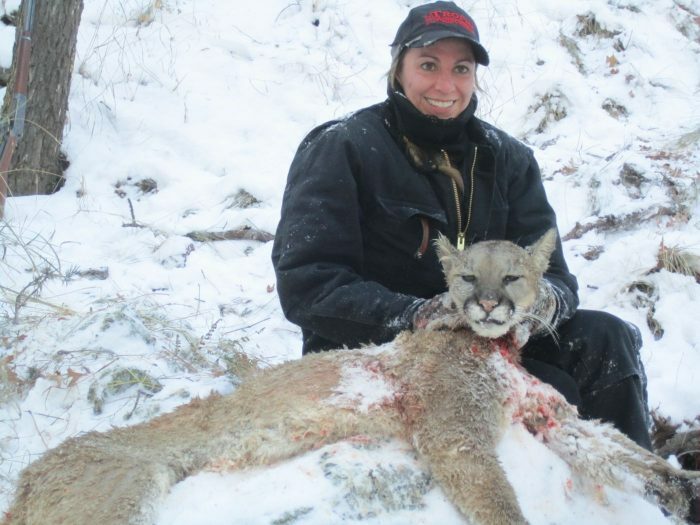 Professional cougar guides spend many days hunting their dogs in order to be good at their trade. 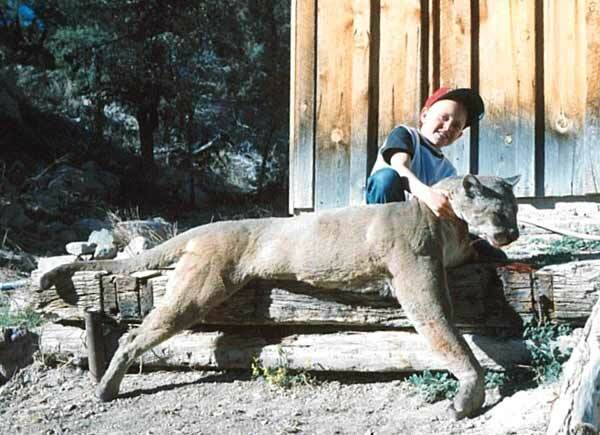 The size of mountain lions will vary. 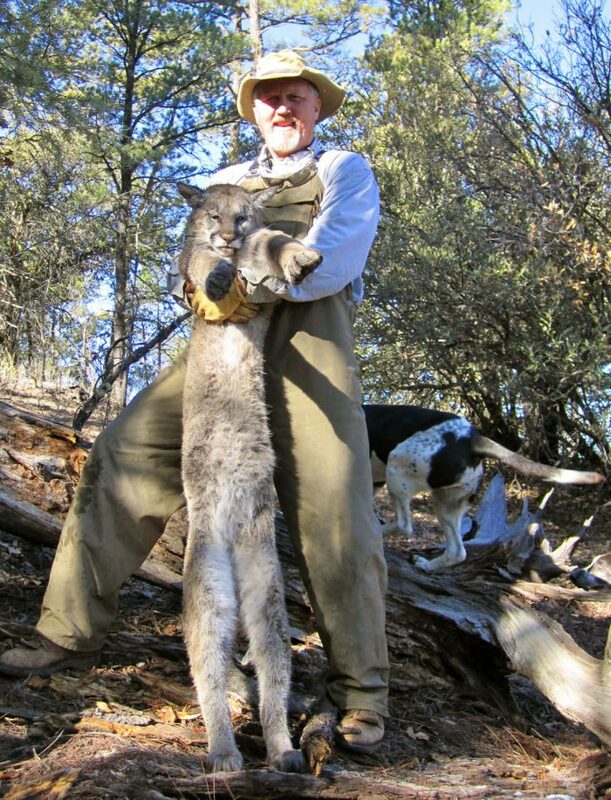 Mature toms (males) will weigh from 110 to 180 pounds. 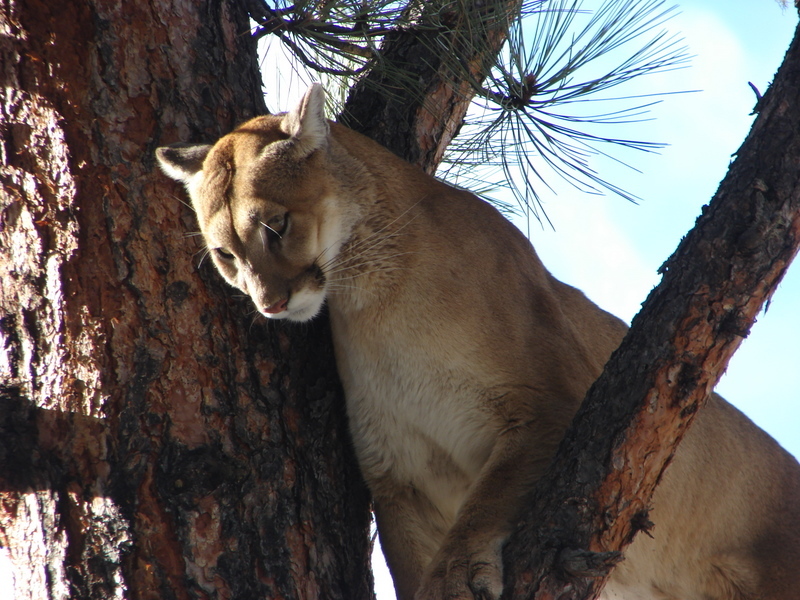 Mature females will weigh from 90 to 110 pounds. 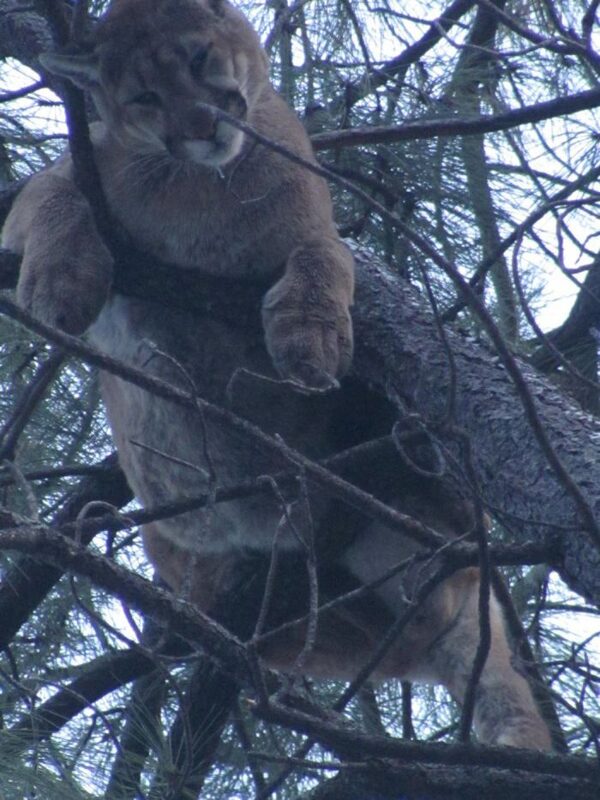 These are magnificent animals and well worth the effort. 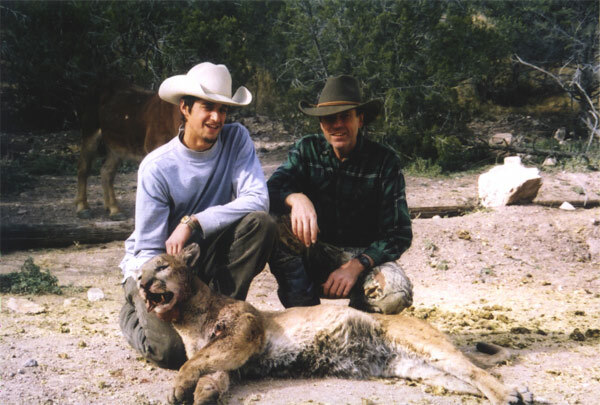 Bare ground lion hunting is by far the most difficult and time consuming hunting activity there is to get started in. 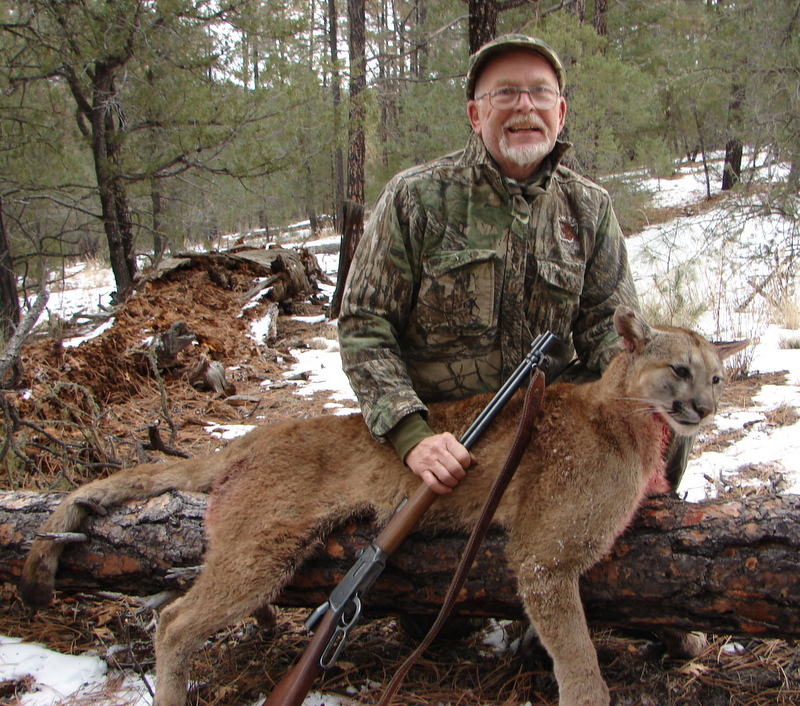 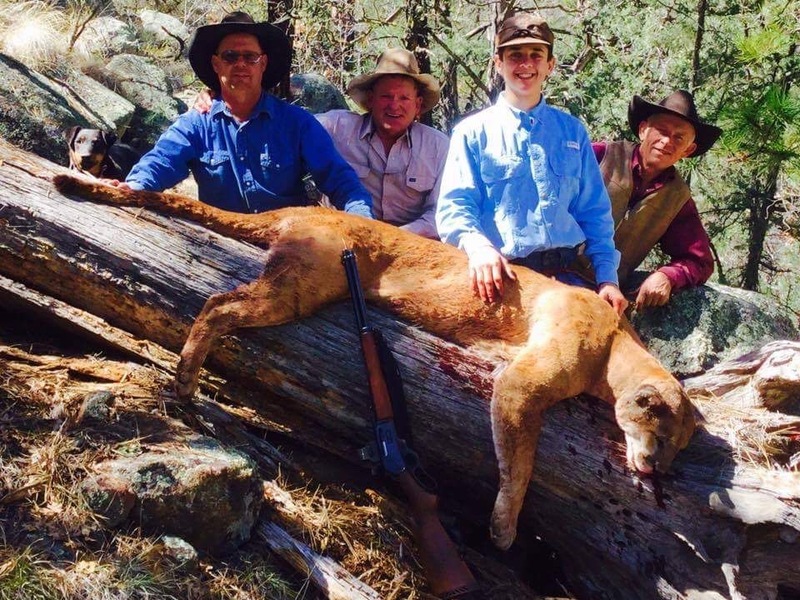 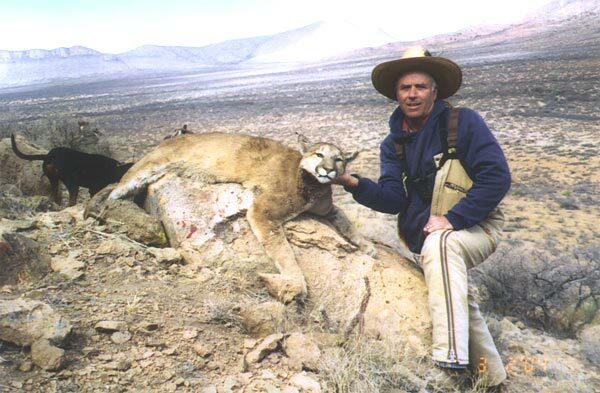 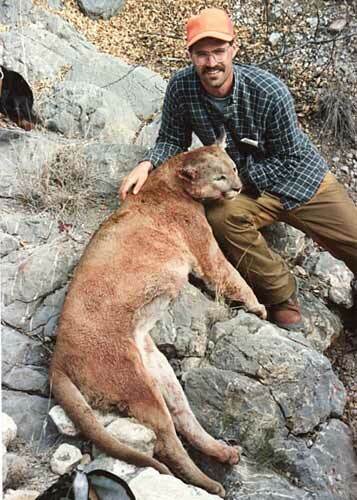 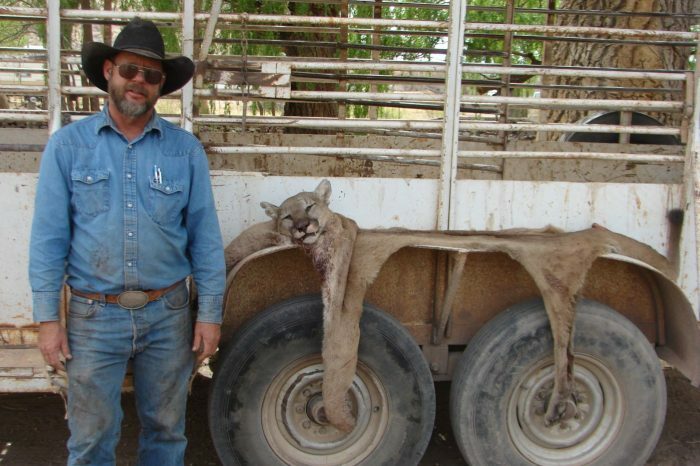 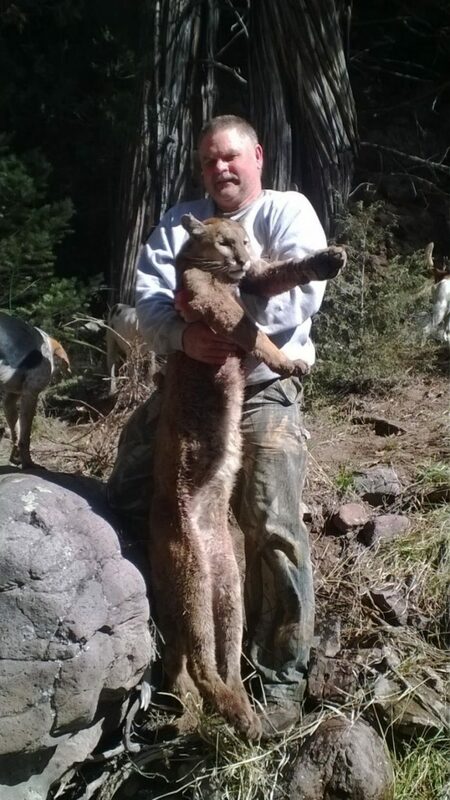 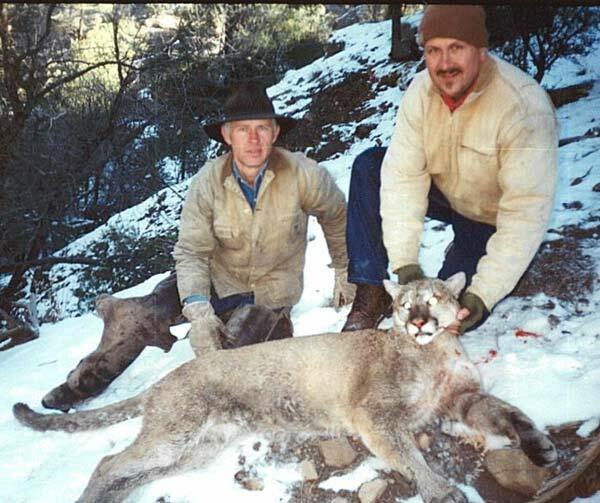 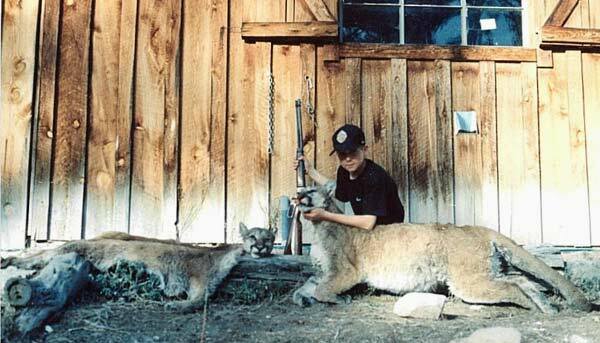 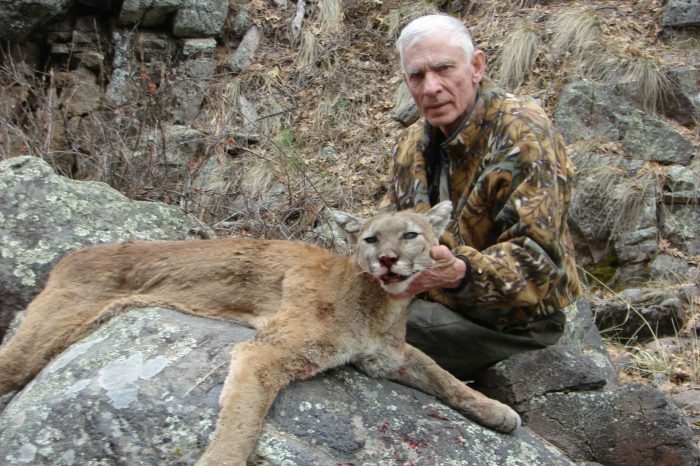 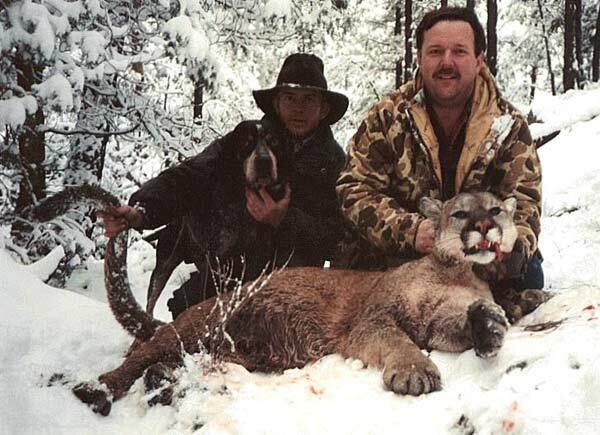 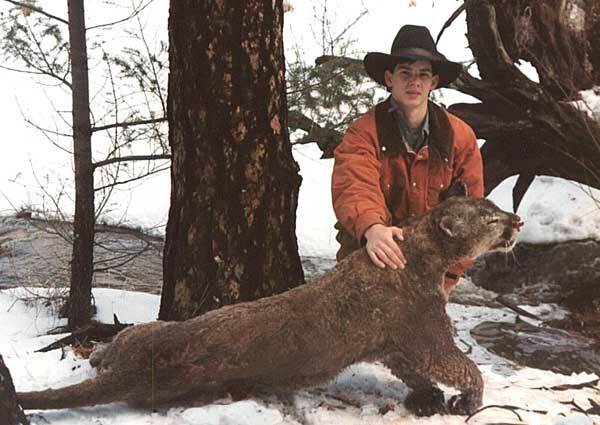 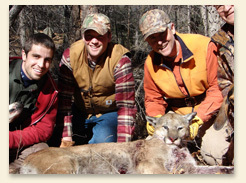 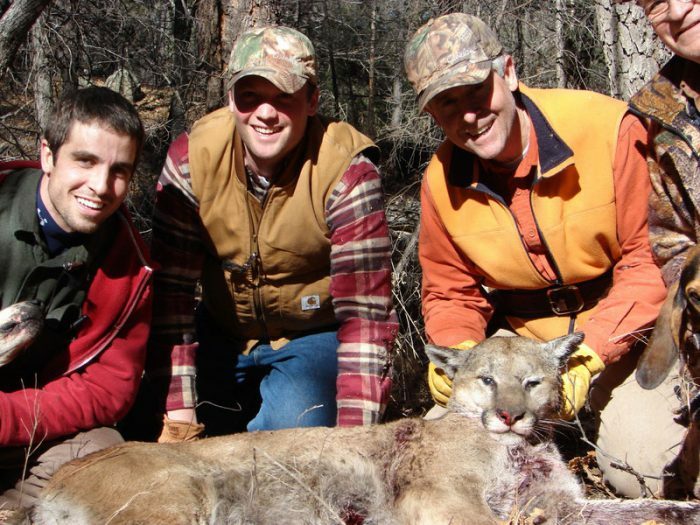 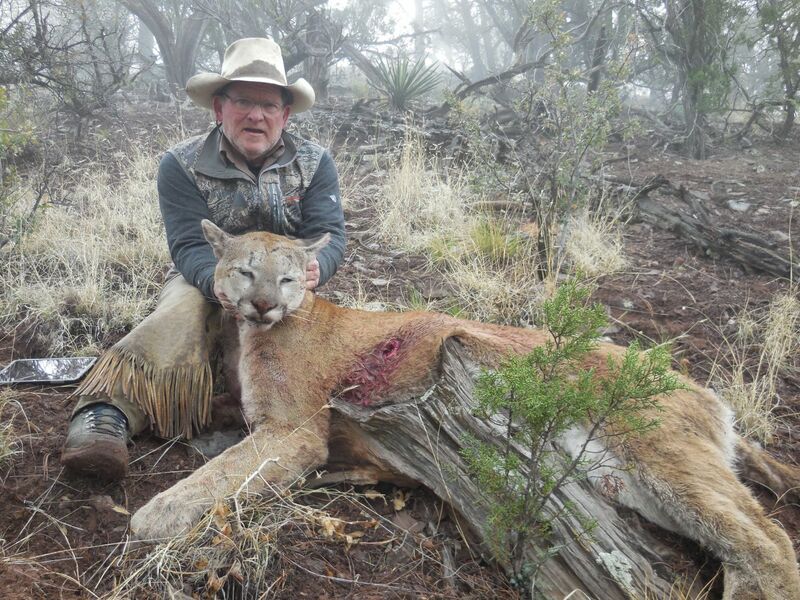 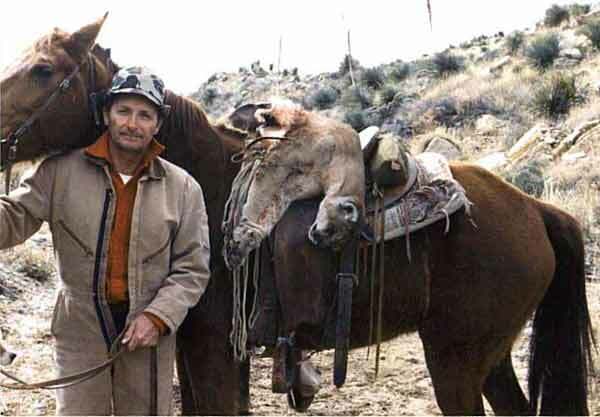 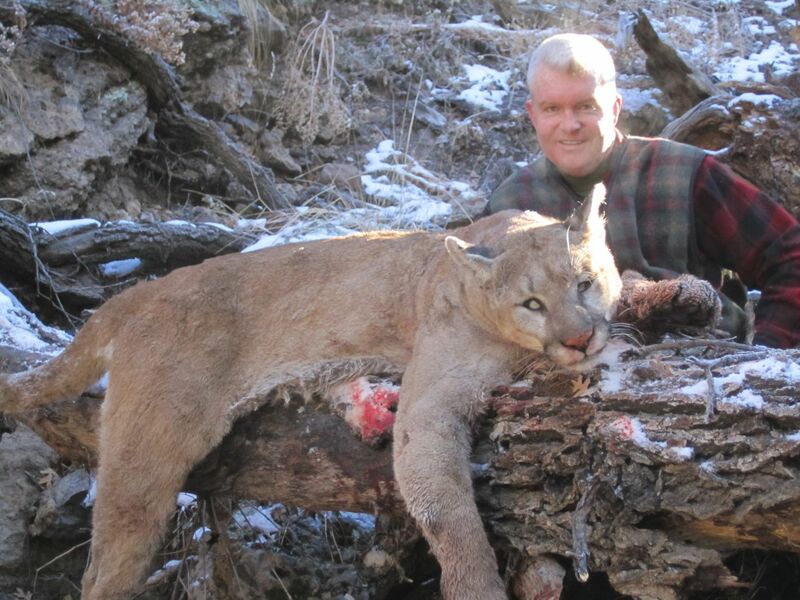 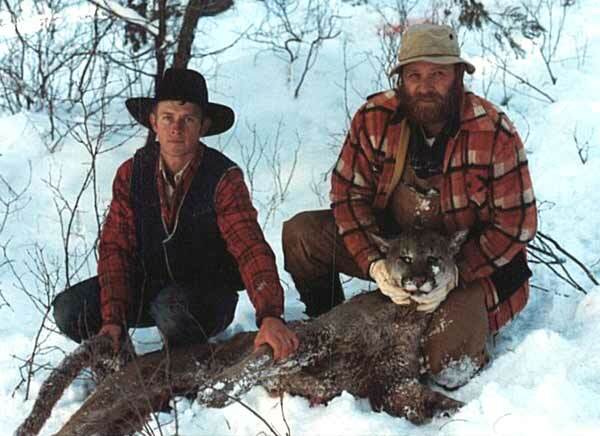 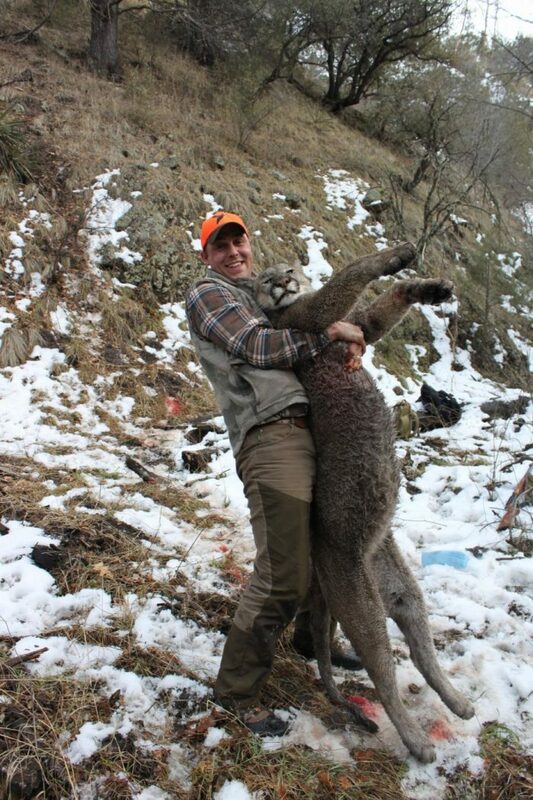 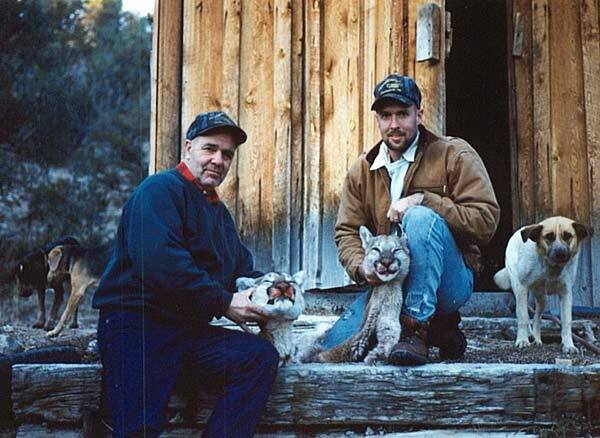 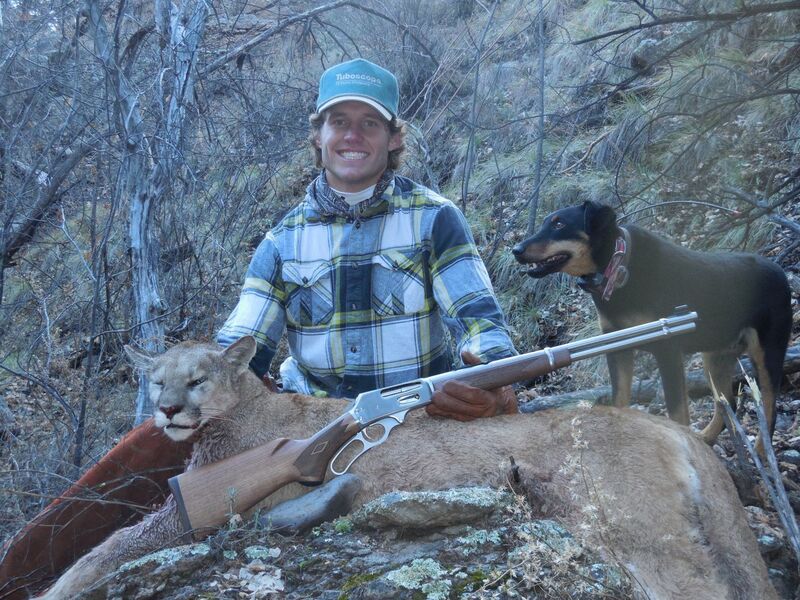 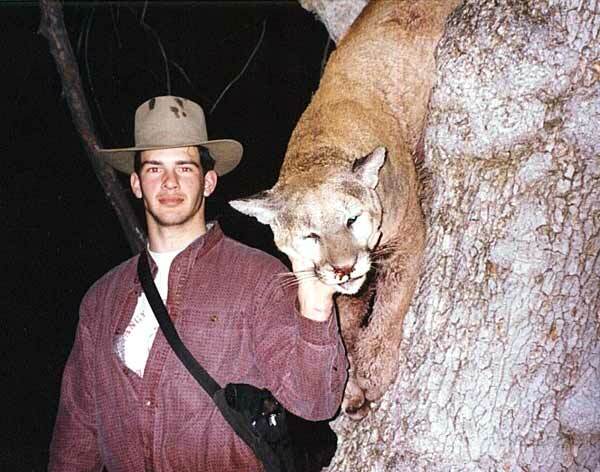 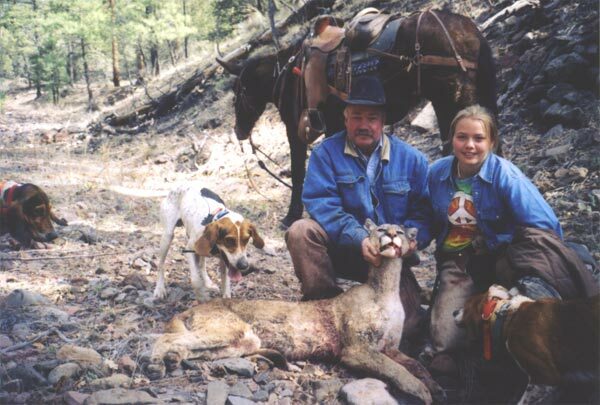 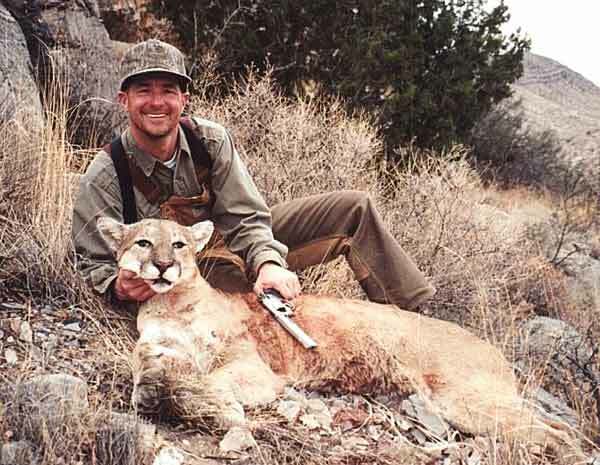 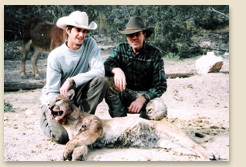 Most good mountain lion hunters were taught and mentored by an experienced lion hunter. 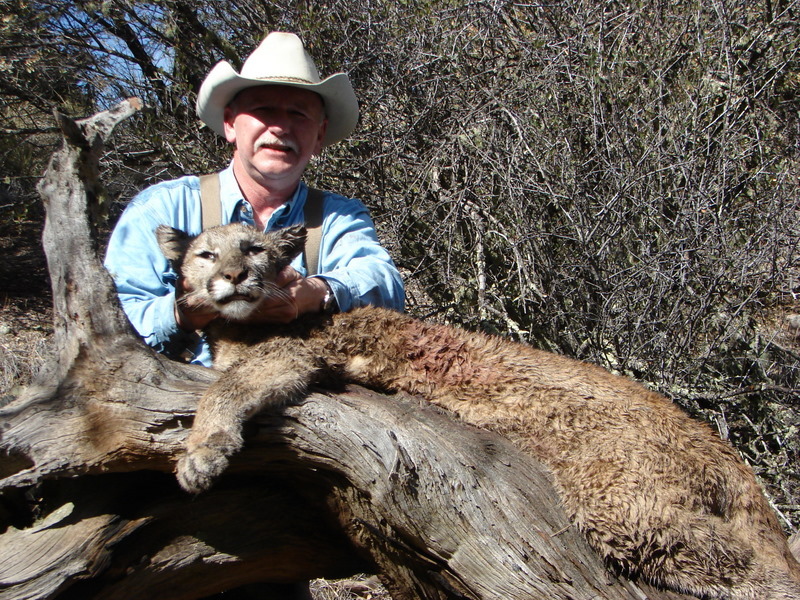 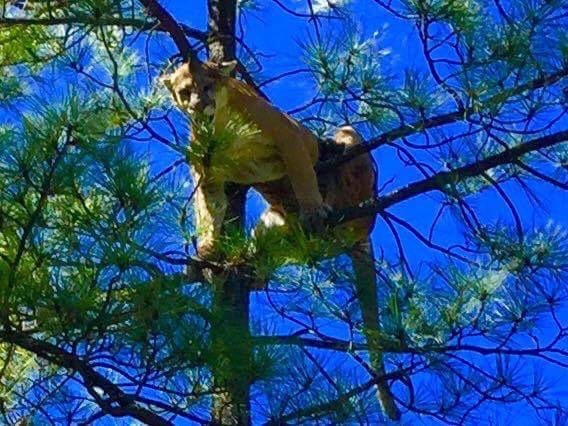 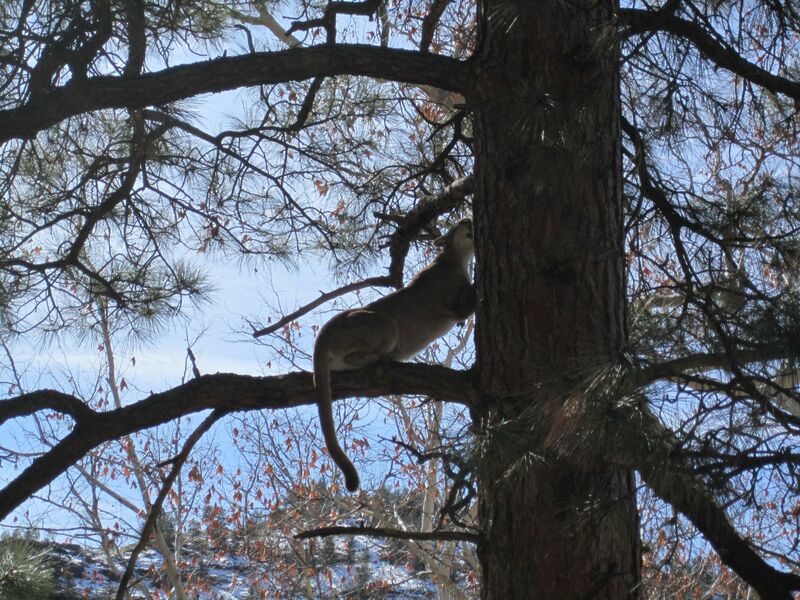 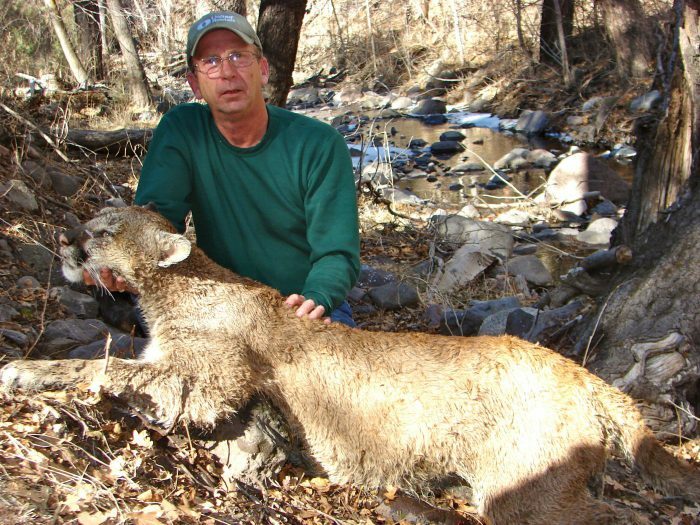 A little help from an experienced mountain lion hunter will save years of frustration and mistakes that will cost you time and money. In this one of a kind lion hunting apprenticeship, I will pass on my many years of experience in dry ground lion hunting to qualified individuals. 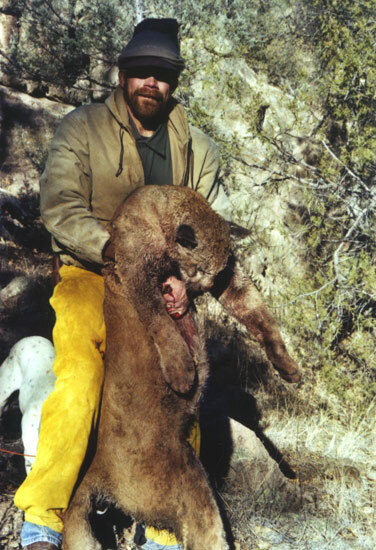 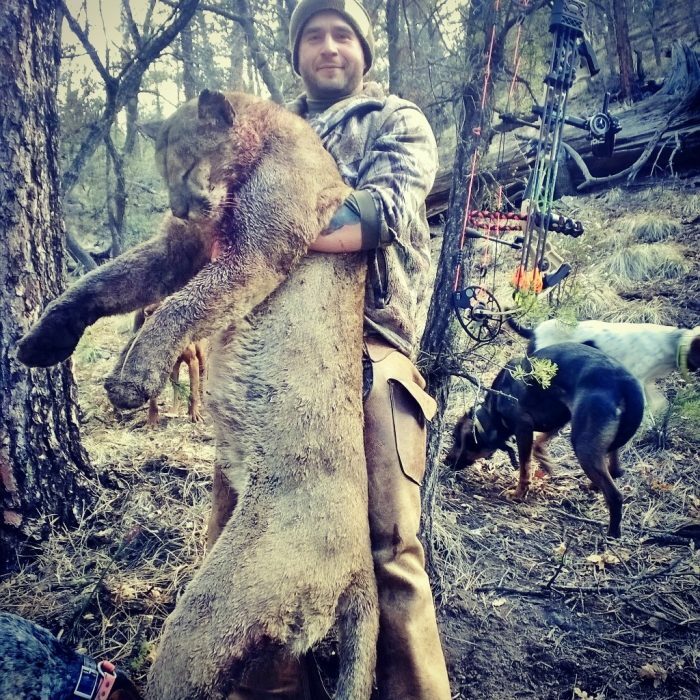 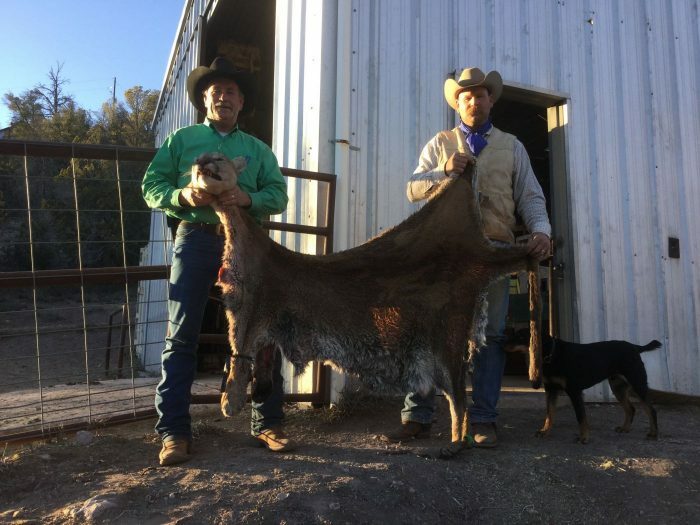 You will learn from A to Z what it takes to be a successful dry ground mountain lion hunter. 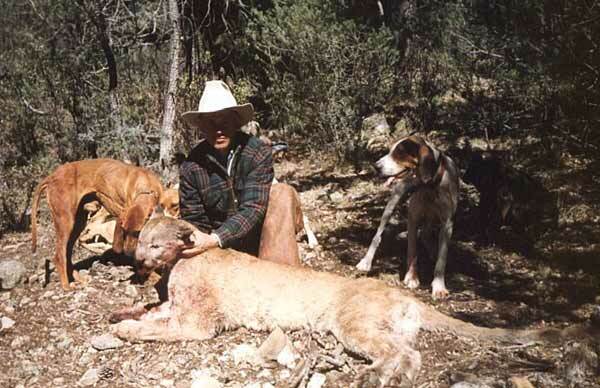 Many houndsmen may have potentially good lion hounds but don’t have the time to hunt their dogs. 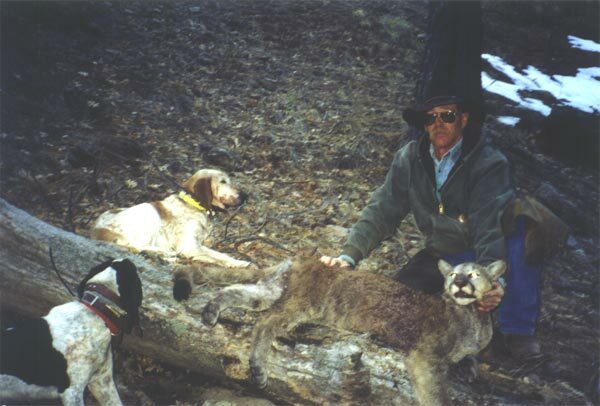 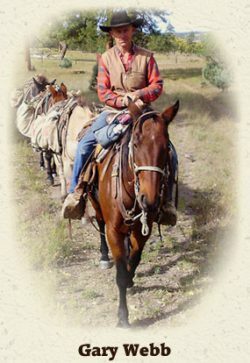 I’ve been a successful dry ground mountain lion hunter since 1984 and have a very good pack of experienced hounds to train your dogs with.